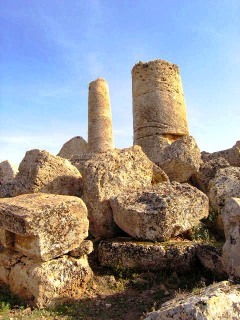 The ancient Ancient colony of Selinunte in Sicily is one of the archaeological areas of the most important in Europe, and by extension imposing. 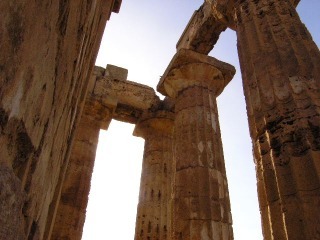 The town of Selinunte has had a very important role in the history of Greece. According Deodoro, the first inhabitants of Selinunte were the Phoenicians, which expelled settled there Megaresi, which archaic altars built, then destroyed during the construction of the Temples. Curiosity: the name of Selinunte comes from the name of the river that flows west of the ancient city, Selinon (today "Modione"), which in turn derives from 'wild Appio (Ancient Selinon) abundant born on these lands. The typical plant was in fact also reproduced on coins selinuntine. 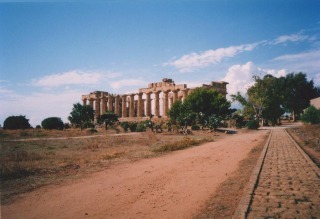 One of the largest metropolis of Sicily Hellenic, Selinunte controlled the vast territory of Valley Belice, including hinterland including: Mazara, and Sciacca Heraclea and, within the territory Castelvetrano, Campobello, Partanna, S. Margherita and Sambuca for an extension (2100 square km) makes Selinunte, after Sparta and Athens, the third khora Ancient world. A flourishing agriculture and large-scale production of wheat up the support of its significant expansion in that formidable Templar buildings located testimony until today. 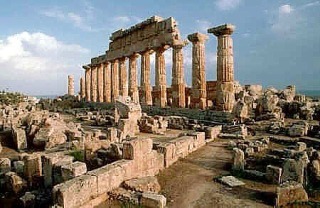 The stone necessary to get the columns of these giants was extracted from Cave of Cusa and Latomie that were in the surrounding area. Finds that remained in quarries attest proceedings scalpellamento necessary to get drums columns, some of which are long over 5 meters with a diameter of 3.5 meters and 3. In conflict with Segesta, on the expansion selinuntina, saw a major threat to its survival, battling against the rival four wars that eventually involve Athens and Carthage. The intervention of the latter in 409 BC Causing the destruction of the city which despite being subsequently rebuilt as a result of Ermocrate and then by the Carthaginians themselves, not assurgerà ever more exclusive splendour. Curiosity: also the site of Selinunte, like all ancient archaeological sites, presents the riddles not easily understood. In fact, you may notice that if the great sacred altar to the south had, as they say studies official original length of 22 metres to a width of 7 meters, then the relationship between the two measures would be equal to 22 / 7 = 3,14…, that is a measure of the well approximated Ancient p, the relationship between the diameter and circumference of the circle, which was officially discovered by Archimedes in the third century. BC While doing studies on polygons. 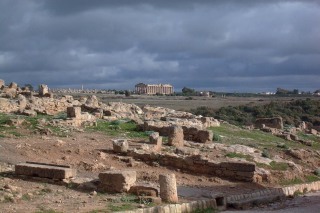 Selinunte maritma cities and border open to influences Punic, deleted, sicani remains overwhelmingly testimony of the ancient Ancient civilization on the island. Perfectly into the conservatasi urban built between 409 and 250 BC, with the walls of the same period integrates with some of the most important temples of world Ancient size (temple G dedicated to Jupiter) and purity of form (temple E was dedicated to Hera), by number of temples, continuity of evidence sculptural (the metopes of Selinunte) for vastness and diversity of necropolis, Selinunte is one of the centres of greatest interest to scholars, archeological and visitors, providing in urban planning, architecture military Templar, sculpture and art a funeral testimony and irreplaceable role in history and in the ancient world.